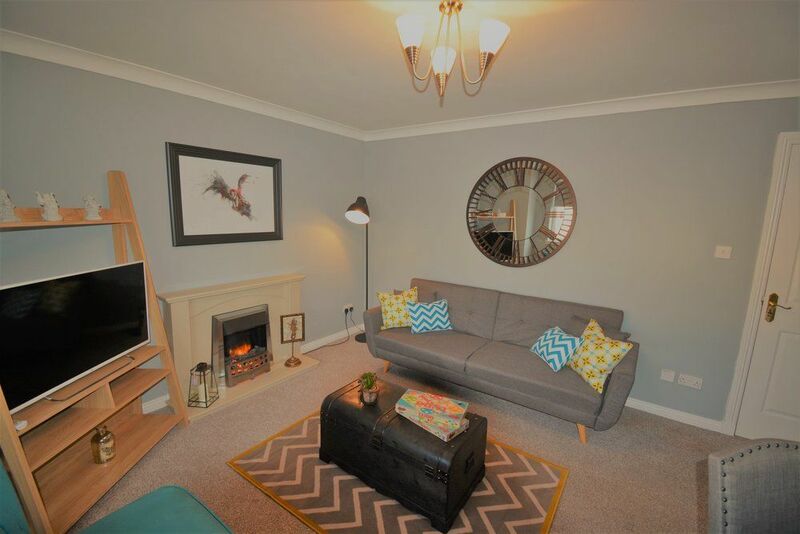 This beautiful 1st floor apartment is located in Coatbridge. There are 2 bedrooms, both with twin beds, all decorated to a high standard. There is also a large cozy living room, complete with a sofa bed and dining area, everything you need to relax after a long day of work or play. The apartment is situated in a great location and is just a short walk from Trattoria Guidi, a fantastic family owned restaurant, as well as many other local amenities. There are many local parks and attractions closeby to explore, including Summerlee, Museum of Scottish Industrial Life, The Time Capsule Water Park, as well as several bars and eateries.